WELCOME, I hope that you will spend a pleasant moment by going through my site, do not hesitate to leave comments. If an image you please insert the into a personal collection by clicking on the icon 'Add to collection'. Then, in the menu bar, click collection, hover the mouse on the desired collection, click on 'Download' and follow the instructions. 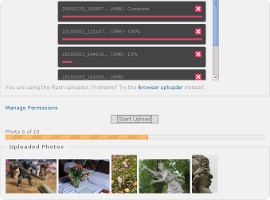 A zip file will be created in the location of your choice that you need to do to recover your photos. 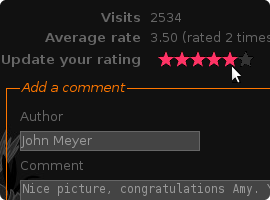 It is enough to return you on the gallery or the image on which you wish to comment and to seize your text in the field comment. Once seized it will not appear at once because I have to validate it, thus not the punishment(effort) to seize it several times, it is not a bug. Once validated by my care it will appear under the photo with, in author, the pen name which you will have chosen to register(record) on my gallery and your just comment down. I try, as possible, hard to answer every comment, thus do not hesitate to return to see my small word. Do not hesitate to contact me in case of problem on the site so that I can try to correct the dysfunction. If my work pleases you or if you wish to obtain information, take the feather and leave I a small word in my Guests' book which you will find in the menu "additional Information ". In the section "MENU", do not hesitate to subscribe to the RSS flow "Announcement" to follow my updates and to leave comments. As you have him(it) can be noticed my gallery is based on a free tool which names PIWIGO, you will find in footer a link towards the site of the community which develops this great tool where you can so directly click this link: Piwigo. Having discovered Piwigo almost by chance, I wished my tour to make the promotion of this very friendly community. I allow to reproduce this below the main characteristics of this fabulous tool. Started in 2002, the project is now supported by an active community of users and developers. 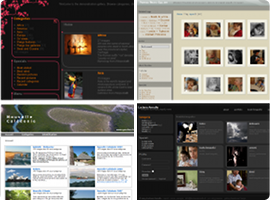 It supports numerous galleries of all sizes all over the world, from an individual ten-photos party to the images stock of an agency. 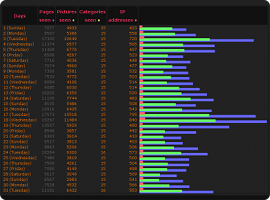 This scalability is supported by smart browsing capabilities based on categories, tags and chronological search. Various extensions make Piwigo even more scalable and customizable to suit your own needs and desires. Piwigo is both web and photo standard compliant. And, icing on the cake, it is free and opensource. 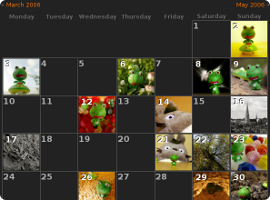 PhpWebGallery became Piwigo on February 15th, 2009. 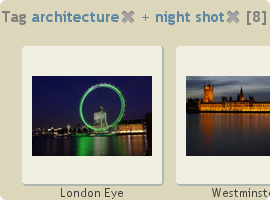 Piwigo offers a wide set of features for any photo gallery. Many of the available features are listed below. New features are added to Piwigo on an ongoing basis, because of coding team ideas and discussions with the user community. You can check the roadmap to get an idea of future improvements. If you haven't done it yet, take a look at the demo and see for yourself. 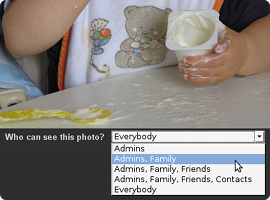 You can add photos with the web form or any FTP client. 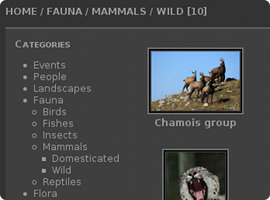 You can also use a desktop application like pLoader, Digikam, Jiwigo and others. Piwigo 2.1 is available in 60 languages. 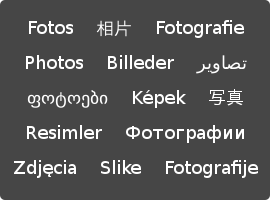 In a single gallery, you can describe photos in several languages. Translators are also collaborating with plugin creators.